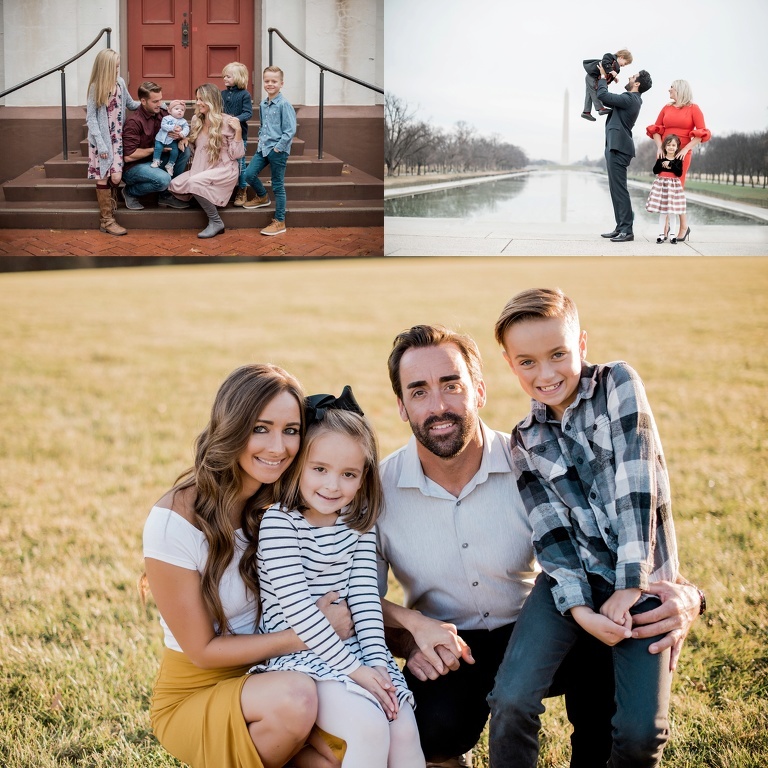 Once you book your family photoshoot you will want to start preparing. You may want to other appointments, such as a hair trim and manicure. If you would like to professional hair and makeup for your shoot I can put you in contact with my artist. Consider your location and surroundings when picking styles and colors. Choose coordinating colors (all jewel tones, all darks, all neutrals). You can also choose all the same color, like varying shades of white. For indoor photoshoots, light colors are usually best. If you have pets, stay away from darks. Choose outfits that are not overly holiday or season specific if you plan on displaying the images in your home. Consider how the outfits will “age” in the images. Keep in mind how your outfit will look when you may be sitting on the ground or holding a baby/child on your hip. Have fun accessorizing the kids with hats, hair bows, knee socks or tights, cardigans or headbands. Here are some ideas and examples with various styles from previous photoshoots! indoor photoshoot, classic and clean look. outdoor photoshoots. dressy, casual and in-between. I have a small list of recommendation for your convenience. 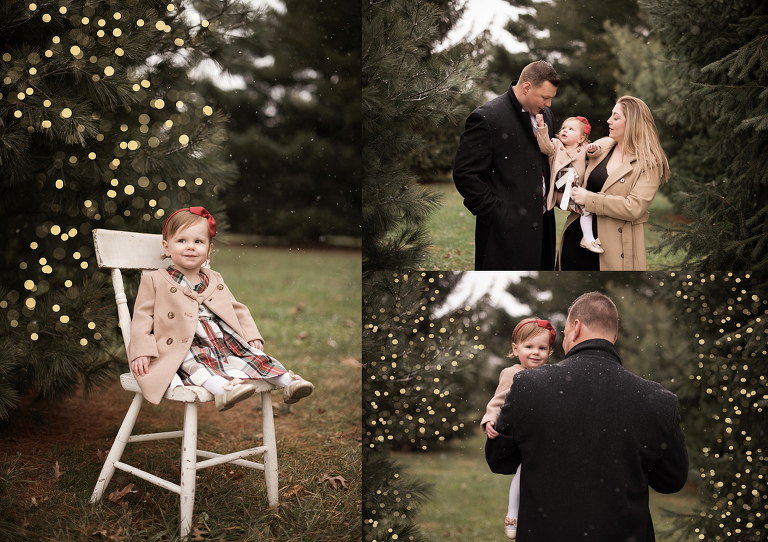 Although beautiful locations are great – I will take pretty lighting and a happy family over ANY location! Truly, simple is best! A local park, a scenic field or a downtown area are always nice. Keep in mind, many locations in the DC area require permits. Here is a few of my favorite, easy and no-cost/low-cost locations! these images were taken at a simple group of trees off the road. Speaking of pretty lighting, the best time to shoot outdoors is typically 2 hours prior to sunset. Mid-day photoshoots are certainly possible but I will seek out shade and other areas to combat harsh lighting. a mid-day photoshoot with lots of tree cover. If you have any special ideas I would love to hear them! Some families prefer to have an activity involved with their photoshoot, one example is going to the Apple Orchard and picking apples. Some other fun, activity themed locations would be: the carnival/fair, tree farm, seasonal fields (sunflowers, lavender…), tourist locations, baking at home or going to your favorite bakery. In the studio you can expect a light assortment of props like chairs and blankets but overall l I do not use a lot of props during photoshoots. in-studio photoshoot with minimal props. 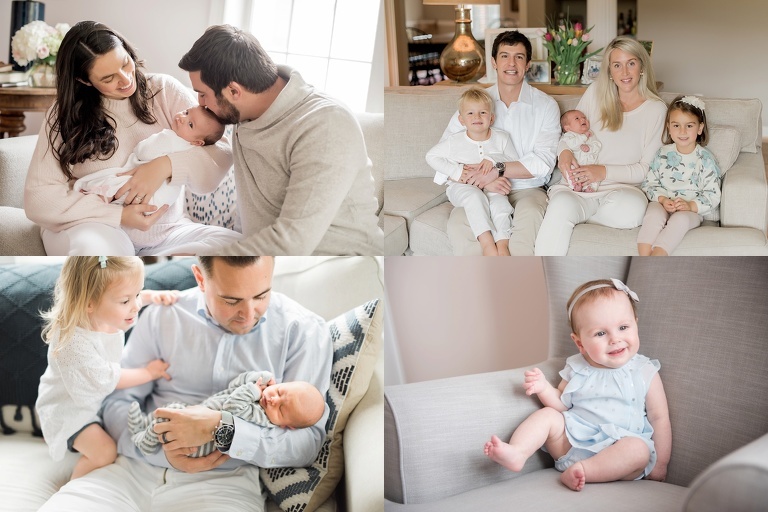 I think its important not to build the photoshoot up too much for children – it can make them anxious which may result in poor behavior during the shoot. Tell them about the photoshoot a week or two before, and then remind them the day prior. Show them how excited you are about it! If your child is extremely shy or does not do well with new people I am happy to meet with them briefly at the studio some time prior to the shoot date. Just make sure you let me know as soon as possible so we can make arrangements! In between the sit still and smile poses, lets tickle and laugh and play airplane and everything fun! I know its very difficult, but try not too coach your children too much. Let me try to get the smiles first. If I need reinforcements, I’ll ask for your help!